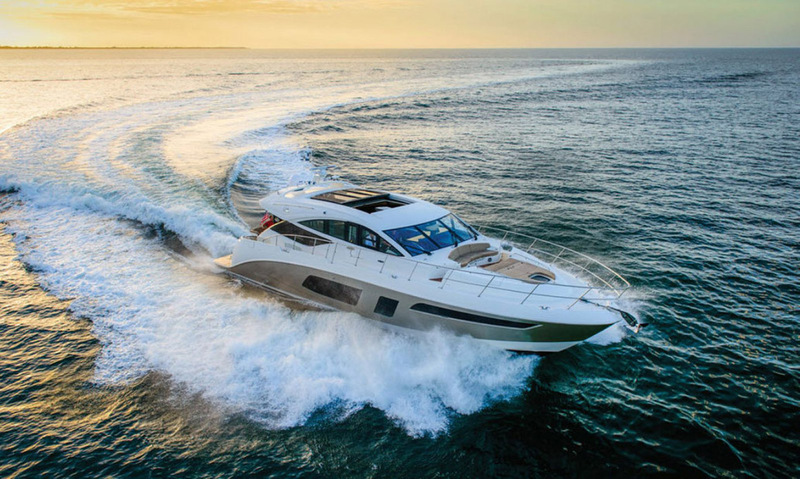 The Sea Ray L650 is equipped with a sophisticated system that is standardized with dual Raymarine Radar, GPS, chart plotters, autopilot, an electric throttle & shift as well as a standard bow & stern thruster control. These are just a few of the electronical standard devices that come with the L650. As for being an L-class model, there are a few optional choices you can add to enhance your L650 to intensify the performance, stability and the handling. The standard power delivers a cruising and a top speed in the lower to upper 30 knots with twin 1150-hp Caterpillar C18A inline 6, 4-stroke diesel engines. Even in crowded marinas you will always move with style and grace, thanks to the joystick controlled drive and thrusters, though the joystick is optional. Take on the rough seas with the Sea Ray L650 smoothly. There is a standard Seakeeper gyroscope stabilizer that settles your L650 no matter how rough or calm the seas so that you and your guests will always be comfortable and nonetheless, safe. Take a deeper dive with the Sea Ray L650, it’s a worldly powerhouse that is easy to drive and effortless to enjoy! 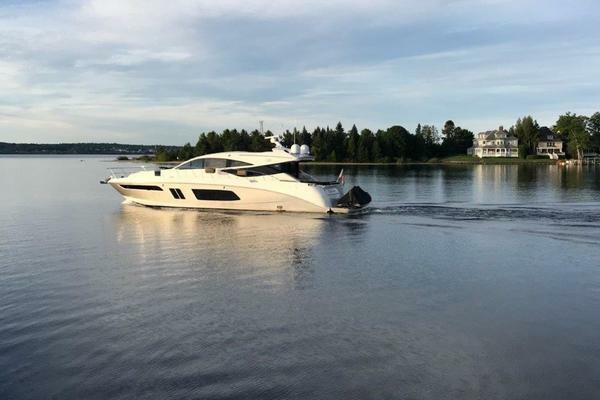 There is no better professional yacht brokerage firm in the industry to help you find the right Sea Ray L650 currently on or off the market. With over 150 yacht brokers worldwide, United has an unbelievable network of both buyers and sellers. We use this to our advantage to help find our customers the right boat for them. There are a lot of available used Sea Ray Yachts available and our experienced brokers will research the history of whichever vessels meet your criteria. Already have a boat? We can sell it for your quickly and efficiently using the most cutting edge marketing techniques available. We don’t just put it on the MLS and wait by the phone. United uses the most advanced marketing tools available from our Google marketing efforts to social media to our email database that consists of more than 75,000 people. So whether you are looking to buy a pre-owned Sea Ray L650 Yacht or looking to sell your existing boat, let the team at United help you achieve your boating goals.